Podcast #1 testing! 1..2..3.. Please feel free to leave your suggestions. I am trying something new :-). This is a companion piece if you will to the Ghent post. I have long thought about podcasts, as well doing some video posts. I have put it on the back burner for a while as we moved. Now, we are a little more settled and so, l am gingerly dipping my toes into a new area. We’ll see how it pans out. I haven’t checked out any other travel podcasts, or podcasts in general. I did not want to get influenced by what’s out there. I am just going to fly by the seat of my pants as usual :-). This being my freshman trial. I am eager to see what you think, and would appreciate honest feedback, like does it show in a “feed”? etc.. It might help future productions. Congratulations on your maiden podcast journey. I found it very interesting and I came away with a good sense of Ghent. Colin Farrell, get over there ;-) . You sound natural, at ease and very candid. I was just thinking that guests would be a nice addition, but you beat me to it ! Well done. I think that listening to a podcast is a nice change. It’s my first podcast that I have listened to, so I am not an expert, but I like the fact that you can listen to it in the background while doing other stuff and that the quantity of information clearly beats the one in a regular article. I am using an online feed reader and it does show in the feed, you can listen to it from there as well. The only thing that could be better is the microphone, I guess, but that’s probably a plan for the future when you have a few thousand listeners. Right now, it works well with it too! I don’t listen to podcasts, BUT I think you sound awesome! Way better than I sound on radio. Ha! Good job! Thank you Holly! I’m sure you are being hard on yourself :-). Glad you guys had a blast on your trip!!! Great job on your first podcast! You have such a lovely voice and accent! Great job, Kemkem! Your voice is so soothing – I really like your podcast. 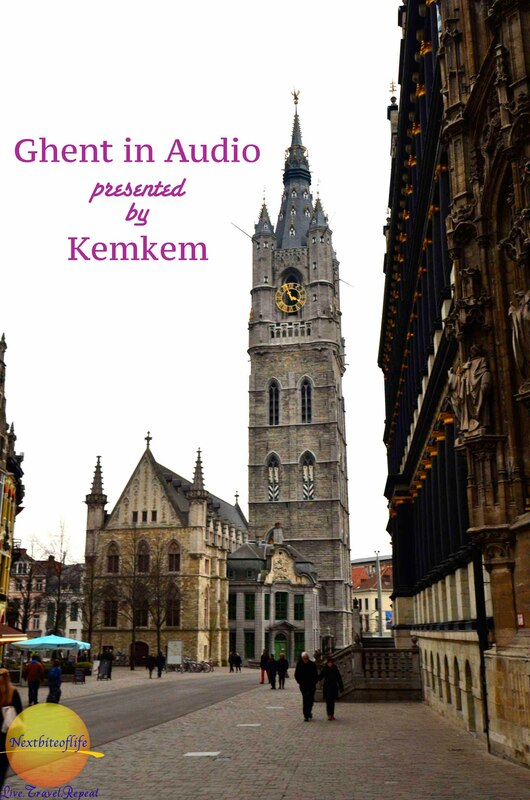 I echo the comments about the mic, but apart from that, you’ve offered some really great advice/tips about Ghent and now I really, really want to go! I listen to a lot of podcasts (mostly biz-related) and it’s something that I’ve been thinking about implementing as well for my biz. Thanks for the inspiration! Thanks :-). Get ready, once l have my microphone and a bit more knowledge, l am bugging you for an interview. Convince me to visit Berlin again..lol! As if l need any more convincing..hah hah! Come to Berlin! Come to Berlin! Come to Berlin! LOL! You have to say that..on the air.. :-). Then it counts..hah hah..